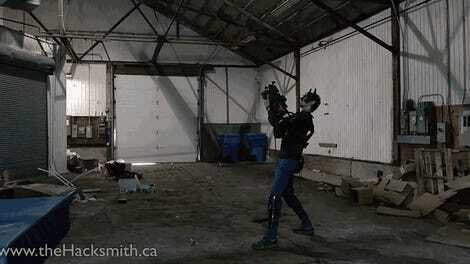 We all fantasize about what life would be like with the same superpowers that Marvel’s heroes wield. 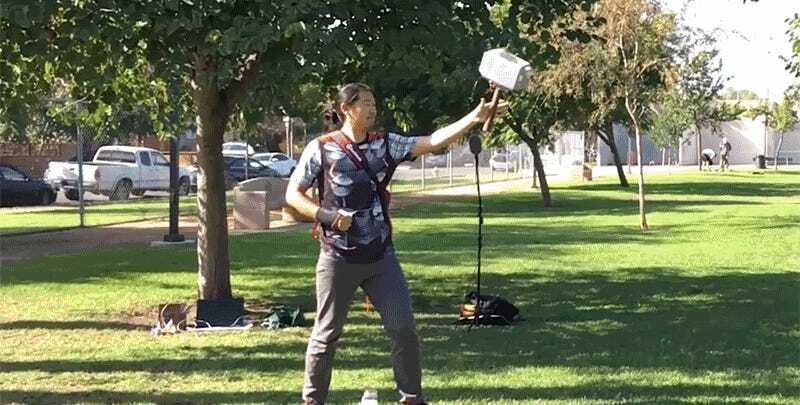 But inventor Allen Pan does more than just daydream, he hacks together gadgets that give him similar abilities to characters like Captain America, and Thor, with this flying Mjolnir hammer. Previously we’ve seen Allen Pan build a flying version of Captain’s America shield that automatically returned to his hand, and another version of Cap’s shield that used a hidden electromagnetic to prevent anyone but himself from lifting it. 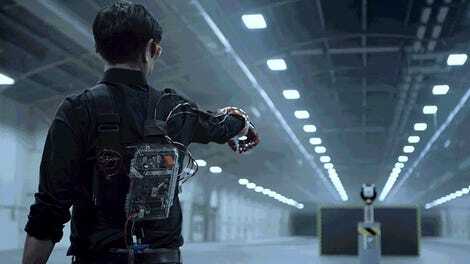 His latest prop recreation involved integrating a quadcopter inside a Mjolnir replica that was covertly piloted using an accelerometer-equipped gauntlet on his arm. Getting the hammer to reliably return to Pan was not as easy as Thor (and special effects wizards) made it seem, although eventually he was able to pilot Mjolnir back to the same hand that launched it. But, sadly, there was never any chance that Pan would be able to fly like Thor does using his creation.